This week I performed on Parliament Hill! On February 4, I spoke to MPs at the Canadian Heritage Committee about my passion for playing the fiddle. I was speaking in support of the federal government proclaiming a new National Fiddling Day. It sure was an exciting day (and I was very nervous). 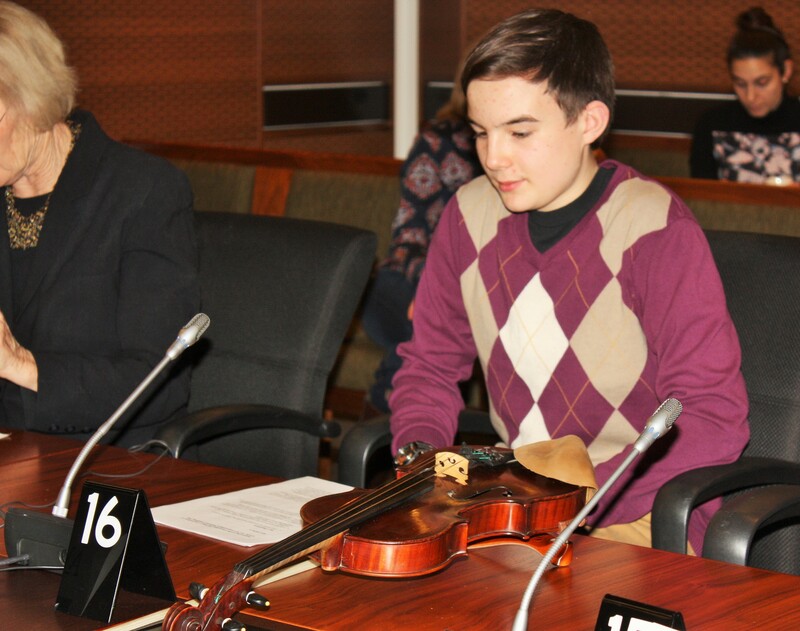 I was one of four committee witnesses who were there representing fiddle music in Canada – quite an honour for me! Also appearing was extra-talented Kelli Trottier and Graham Sheppard representing the Canadian Grand Master Fiddling Association. There was also the author of the legislation, PEI Senator Elizabeth Hubley, who I got a chance to talk to (photo below). I spoke about my own personal experiences in music, what fiddle music means to me, and even got to play the MPs a waltz! Here is a full copy of my statement to the MPs – The sound of fiddles on the Hill. At the end of the committee meeting, the MPs passed the Bill without any votes against it! The legislation now goes to all MPs to vote and pass it in the House of Commons. It is hoped that on this May 16, we will be celebrating Canada’s first National Fiddling Day! I want to thank St. Catharines MP Rick Dykstra for thinking of me and having me invited to this Parliamentary meeting. Thanks Rick!